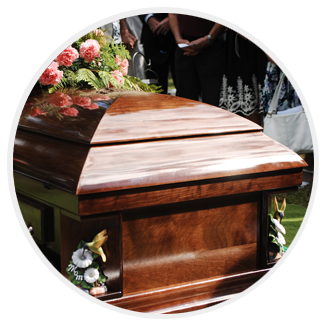 Although Cremation is increasingly more accepted, burial continues to be the most popular method of final disposition. 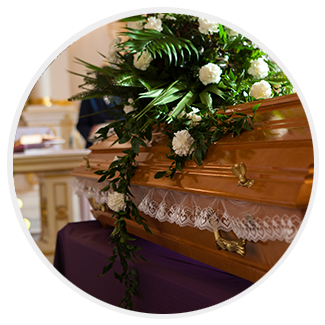 The Burial is usually preceded by a funeral service and Binkley’s Funeral Service is able to meet all your needs as a full service funeral home. We work closely with our families to help them carry out a meaningful service that will be an appropriate and fitting reflection of the deceased’s life. We are pleased to be of service and can provide numerous options for your family. The following are basic outlines of some of the services we offer. We are open to any and all suggestions and are always mindful of each individual’s wishes and desires to provide a suitable remembrance. Funerals are for the living. Just like weddings, graduations, and retirement parties they help us to adjust to life’s major transitions. The funeral is a process that meets a number of our emotional needs. Psychologists have established that denial is a natural part of the grieving process and research has shown that viewing the body helps to fulfill some very basic emotional needs. The funeral is the first step in acknowledging that a death has taken place, it celebrates the life that was lived and provides an opportunity to pay tribute to our loved one. The gathering of family and friends helps provide emotional support which is so needed at this time. Through this process we are able to move towards a healthy emotional recovery.